Jefferson Barracks National Cemetery is an American military cemetery located in St. Louis County, Missouri, just on the banks of the Mississippi River. The cemetery was established after the American Civil War in an attempt to put together a formal network of military cemeteries. 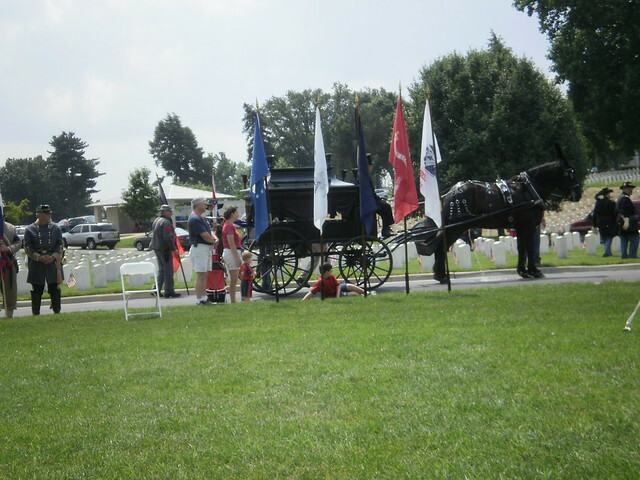 It started as the Jefferson Barracks Military Post Cemetery in 1826 and became a United States National Cemetery in 1866. Go to the usage examples of Jefferson Barracks National Cemetery to see it in context! This page was last modified on 29 April 2017.